It’s day 2 of “THE 12 DAYS OF CHRISTMAS COOKIES” (see yesterday’s Speculoos: Traditional Belgian Spiced Cookies recipe here) and today it’s all about the bark. 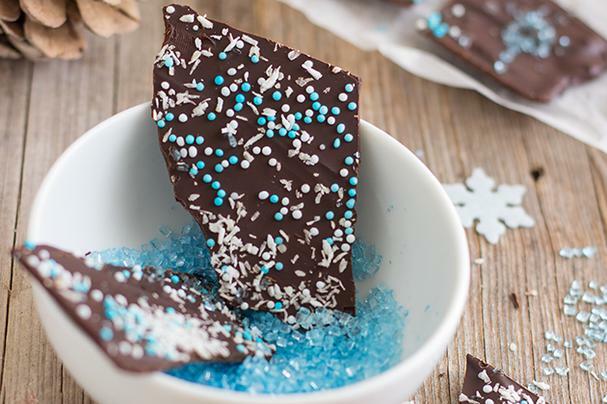 Though technically not a cookie, chocolate bark has definitely earned its place in the round-up of Christmas favorites. Who doesn’t love biting off a big chunk of chocolatey goodness? 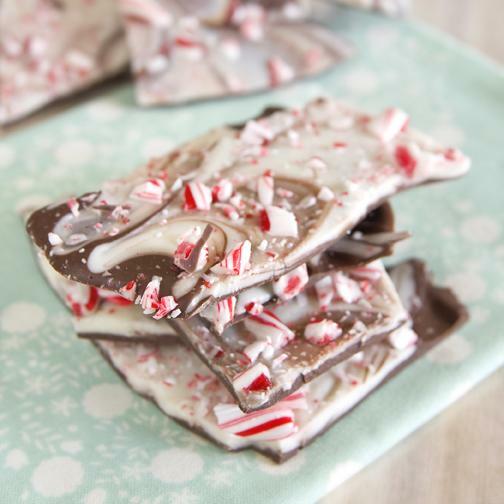 Chocolate bark is easy to make and is a wonderful homemade Christmas gift idea. Wrap a bunch up in cute little cellophane baggies (like these) and you’re good to go! 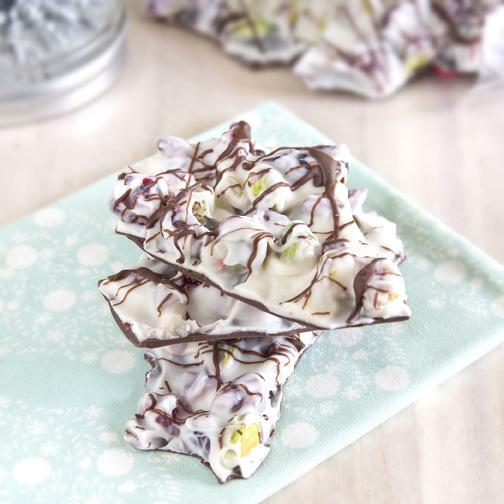 Below are 3 scrumptious chocolate bark recipes: a quick chocolate coconut version, a minty candy cane one (my personal favorite), and a gorgeous Cranberry Pistachio bark. Seriously, get yourself some chocolate and start melting. Even kids can make these! Melt the chocolate in your microwave. Start off with 30 seconds. Stir, then microwave for another 20 seconds. Take it out and stir again. At this stage the chocolate should be almost melted. If more time is needed, heat for a few more seconds. Take care, you don’t want the chocolate to overheat as it might separate and not set properly. Pour the melted chocolate onto a baking sheet lined with baking paper. Spread around evenly using a spatula. Let it cool down a bit, then top with coconut and sprinkles. Place in the fridge until thoroughly cooled (overnight for best results). Once the chocolate has set, break it into pieces. Pour dark chocolate onto prepared cookie sheet and spread over surface with a spatula. Place cookie sheet in the refrigerator to harden. In the meantime melt white chocolate melts using the same 30 second interval method. Pour the melted white chocolate over the hardened dark chocolate on the cookie sheet. Using a knife, draw lines through the chocolate layers to create a pattern. Sprinkle with crushed candy canes. Once completely cooled and hardened remove from the fridge and break apart into pieces. Store in a sealed container in a cool dark place so it does not melt.